Amidst the casinos and shows, you might forget that Las Vegas is a premier Southwest golf destination. The city of sin has over 50 courses throughout the greater metro area; and whether you play like a pro or want to enjoy a day at the links, Las Vegas has courses for every budget, every taste and every ability! Everyone from Frank Sinatra to Tiger Woods have hit the links here. Las Vegas has golf courses designed by some of the best in the business: Tom Fazio, Jack Nicklaus, Rees, Pete Dye, among many others. The courses have it all: lush green parkland, rolling heels, stark desert, and more. We’ve curated the best courses available while keeping in mind cost, difficulty and accessibility. Few places in the world can live up to the splendor and luxury that is Las Vegas. And the golf courses are a reflection of that image. Out here in the desert, you can find some of the highest green fees in the country. But as the maxim goes, you pay for what you get! 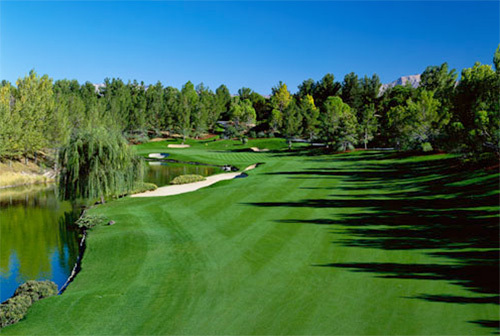 Shadow Creek – Considered to be not only Las Vegas’s best golf experience but also one of the world’s best courses. Built in 1989 at a cost of $60 million dollars, the arid desert was transformed into a golf oasis of subtle elegance. To play here, you need to be a guest of the MGM Resorts International and be willing to pay $500 in greens fees. However, the weekends are exclusively reserved for high rollers. Cascata – This course is constantly in the competition for the top golf courses in the world. With stunning valley views and a 418 foot waterfall that flows into a river, Cascata is a true marvel. Built by Caesar’s Entertainment and designed by Rees Jones, it was created to be a high end experience and show off the beauty of the desert. At a cost of $70 million dollars to build, it justifies the green fees of roughly $300. Wynn Golf Club – This par 70 course spread out over 7,042-yard is modeled after the rolling hills of South Carolina. Something that might make you forget that you’re right on the Las Vegas Strip! 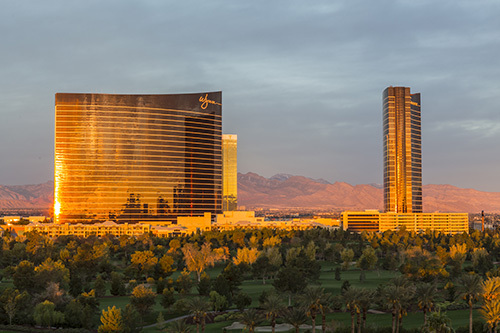 What was once the old Desert Inn Golf Club was transformed by Steve Wynn and Tom Fazio into a picturesque paradise. This fantastic golf course culminates with a $2 million waterfall behind the 18th green. Now, if you’re not a fan of spending hundreds of dollars to play, or perhaps you’d rather spend most of your budget in the casino, you’re looking to golf on a tighter budget. However, that doesn’t mean you have to compromise on a great golf experience! 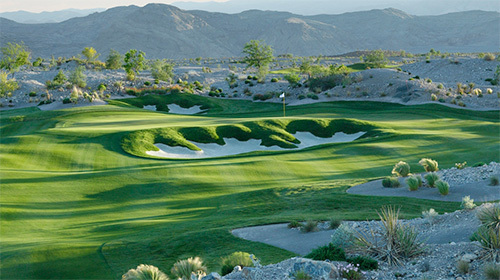 Paiute Golf Resort – The resort is home to three courses designed by the legendary Pete Dye. And with green fees of less than $200, it’s well worth the 20 minute drive out from the Las Vegas Strip. With sweeping views of the Spring and Sheep Mountain ranges, choose between the Sun Mountain and Snow Mountain course, or opt for one of the most challenging in the region in the Wolf Course. 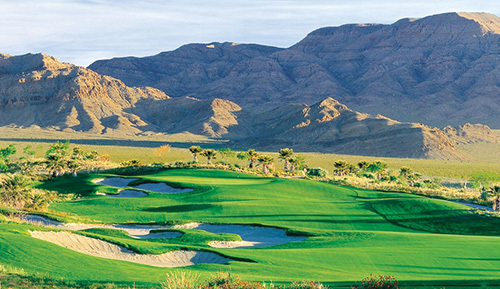 Primm Valley Golf Club – Delve into the Mohave Desert to discover this secluded 36- hole golf course right across the border from Nipton, California. Designed by Tom Fazio, the Lakes courses provide lakes and river systems to contrast the Desert courses’ palm and mesquite trees. Green fees here start at around $100 and it’s only a 35 minute drive to play. Coyote Springs Golf Club – If you’re already set on driving out for the best bargain golf experience, then you might want to continue out about an hour away from Las Vegas. The reward will be worth the drive: Coyote Springs Golf Club has the world’s largest practice facilities and green fee deals for less than $100. Also, the driving range is free, so you can practice your swing at ease. There’s no doubt that Las Vegas is a premier golf destination. 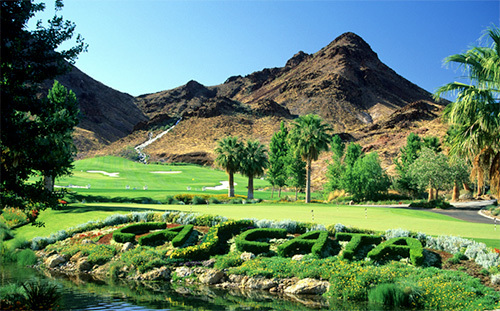 The city is considered by many to be an outstanding desert golf destination. What are you waiting for! Tee up! 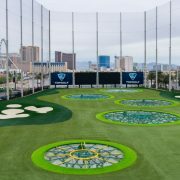 Next week we will delve in to the grand opening of Top Golf Las Vegas that’s opening in late May at the MGM Grand. The End Of EDM in Las Vegas? Welcome to Topgolf!